The average price for this game in the past 6 months is $4.13. The game first became 50% off on Oct 31, 2014 at GamersGate. Lowest historic price was $3.59 on Nov 5, 2017 at Fanatical. Saints Row IV - Game of the Century Edition (game of the year) getting best ever 81% discount to $3.87. This is the headliner deal of GamersGate's Franchise sale, and the only one at its lowest price today. The Saints Row series 75% off at Bundle Stars this weekend including Saints Row IV - Game of the Century Edition. Has been a few pennies cheaper in the past, but this is basically its Winter Sale PC gaming price point well ahead of the Winter sales themselves. New low by about a buck today on the Saints Row IV - Game of the Century Edition. It's a brand new deal in the Bundle Stars Summer Sale and a hot offer since Saints Row IV alone is a $15 at most retailers right now... not to mention all the DLC you get in the Game of the Century Edition. New low on Saints Row IV - Game of the Century Edition in GMG's Summer Sale. A rare over 75% off the usual $20. Saints Row IV - Game of the Century Edition slashed to six bucks today in GamersGate's Saints Row sale. Solid 70% off. The average price for this game in the past 6 months is $2.96. The game first became 50% off on Jan 16, 2015 at GameStop. Lowest historic price was $2.81 on Feb 15, 2017 at GamersGate. New low on Saints Row: Gat Out of Hell today at GameStop. Best price ever by $1.25 and 75% off the usual $15 (it use to have a $20 list price). Steam Key. Saints Row: Gat Out of Hell for PC download is now at its lowest ever price for $3.74 at GameStop. This is a standalone game and does not require Saints Row IV to play. Someone dun goofed at GameStop and discounted Saints Row: Gat Out of Hell to $4.99. A 75% off pre-order discount? Might be a price mistake, might be a generous sale. Well worth grabbing if you're a Saints Row fan. Releases next Tuesday. Standalone expansions should be more of a thing (vs overpriced DLCs). Saints Row: Gat of Out of Hell arrives January next year with co-op mode and new gameplay advancement elements. Steam key. Pre-order gets you the Devil Workshop DLC for free. The average price for this game in the past 6 months is $3.37. The game first became 50% off on Dec 14, 2012 at GameFly. Lowest historic price was $3.12 on Apr 12, 2017 at Green Man Gaming. Saints Row: The Third The Full Package hits a new low at GOG today in their Fall PC Gaming sale. This is the DRM-Free (non-Steam) version but gets you the same game + all mission packs and more than 30 DLC items. Four dollar Saints Row 3 the Full Package after coupon at GMG. Lowest price ever by $0.80. In addition to the best discount ever GMG is tossing in a "Free Mystery Game" (random indie title). Saints Row: The Third The Full Package, which includes the base game, 3 extra mission packs, and 30 bonus DLCs - is down to five bucks today at GameFly. Only a few pennies off its all time low last seen in a few months ago. Up until late July, this was selling for $30 on Steam, though now the list price has been reduced to $19.99. Everything Saints Row: The Third showed up for six bucks on PC today at GameStop. Ties the lowest price ever last seen in July 2013 during the PC gaming summer sales. Tying Steam's Summer Sale, Saints Row the Third is at the lowest price at GameStop - deal ends soon. Complete edition comes with all the DLCs you should care about (the OP broken DLC isn't included in this updated Complete Edition since once installed, its irreversible). Humor might be over the top for some but IMO a solid game. The average price for this game in the past 6 months is $2.24. The game first became 50% off on Feb 23, 2012 at Amazon. Lowest historic price was $2.07 on Dec 20, 2017 at Green Man Gaming. Physical copies of Saints Row The Third down to only $2.97 today at Gamestop. Free store pickup available in most areas. One of the most crazy and wacky sandbox game ever, Saints Row The Third on PC download is now at its lowest price ever at $5, today only. If you've not played saints row series, go ahead and grab this game for a cheap. Saints Row The Third drops to $7.49 at GamersGate today only. That basically ties the lowest price ever (off by a few pennies) and $23.50 off the next best price online of $31 at Amazon. Saints Row The Third PC download only $7.50 from GamersGate. Lowest price we've seen since THQ's liquidation. Steam activated. Elsewhere the download is $32 and up. Saints Row The Third is Amazon's #2 Best-Selling Action Video Game and is now on promo for only $10, and you get an additional $5 promotional credit that you can use to purchase any Editor's Choice game downloads in January 2013. 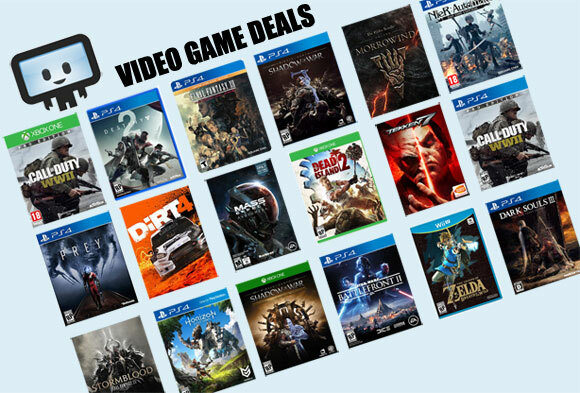 Next best deal from GamesRocket is at $32. The average price for this game since released is $18.12. The game first became 50% off on May 13, 2015 at GameFly. Lowest historic price was $7.49 on May 15, 2018 at PlayStation Store. Everything Saints Row IV, including the Gat Out of Hell stand alone expansion, dropped to $20 on the PS4 and Xbox One at Best Buy. Lowest price we've ever seen by $10. The average price for this game in the past 6 months is $3.75. The game first became 50% off on Dec 22, 2016 at Microsoft. Lowest historic price was $3.75 on Dec 22, 2016 at Microsoft.